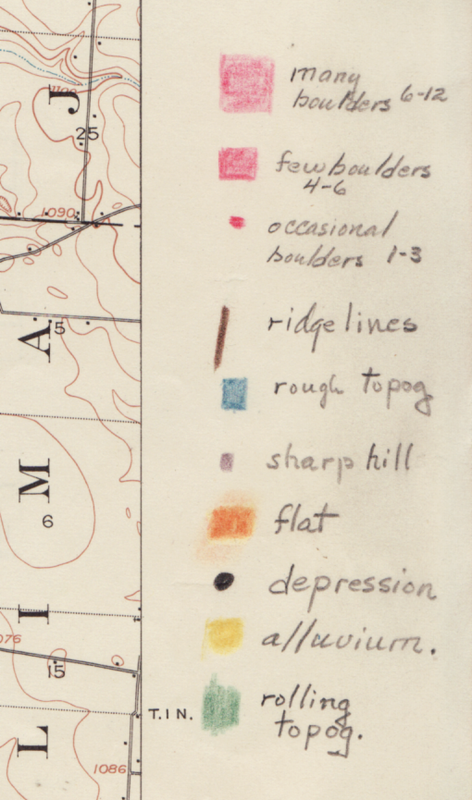 Among the most expressive of map making tools are pencils, pens and other analog devices. 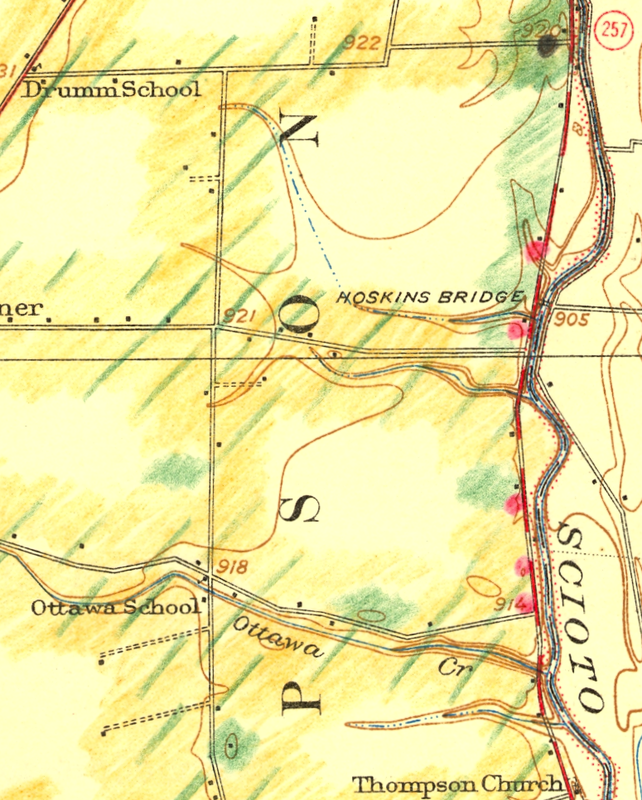 The certainty of the topographic map contrasts with the precursory aesthetic of the hand drawn annotations. 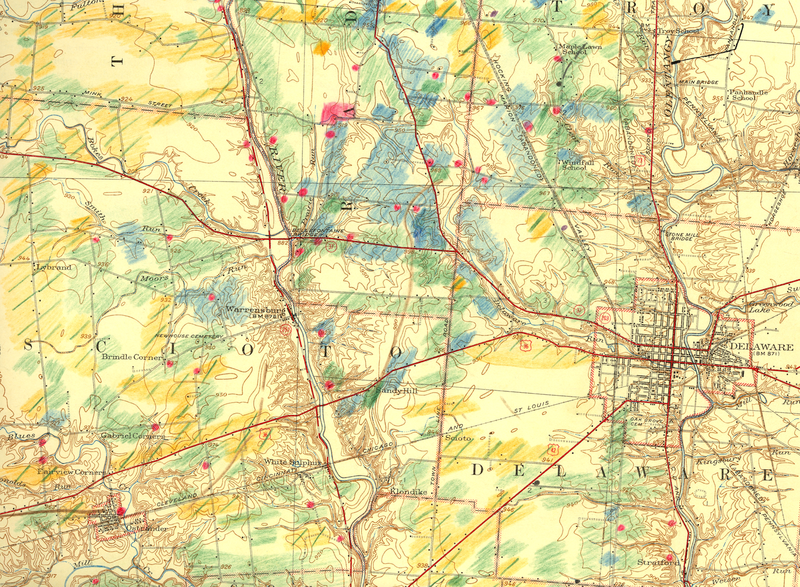 This and three subsequent postings contain a series of hand-sketched glacial geomorphology annotations on topographic maps by Dr. George Crowl (1910-87) who taught geology at Ohio Wesleyan University from 1947-1975. 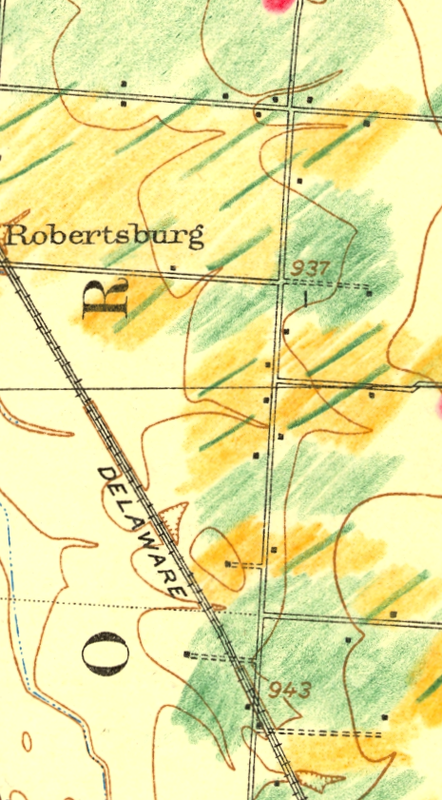 The topographic maps are from the USGS 15′ series, covering the area around Delaware, Ohio. 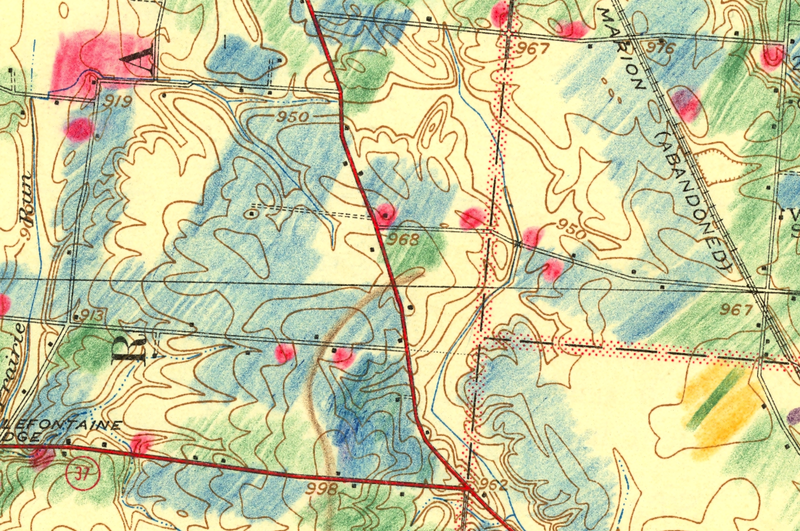 Crowl was known for his field trips for students in Ohio and surrounding states. 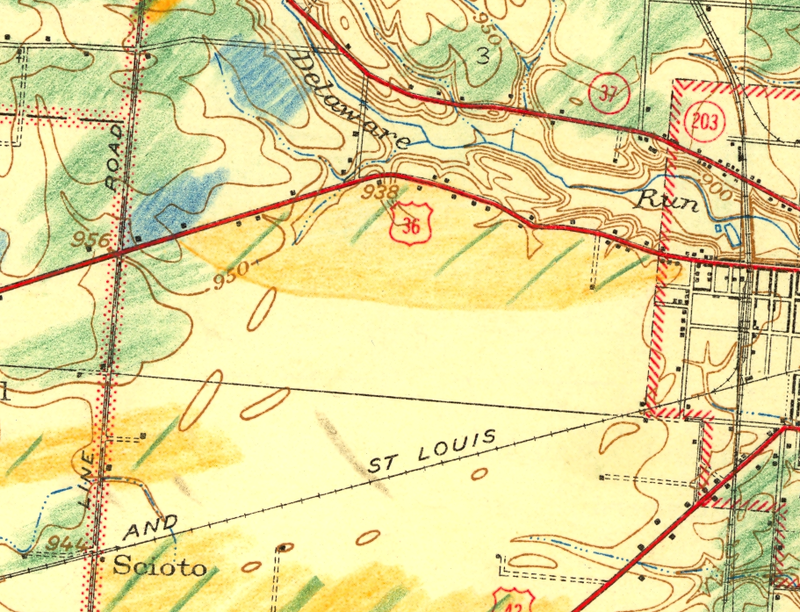 These manuscript maps, in the archives of the Geology & Geography Department at Ohio Wesleyan, were likely created for a generalized map of central Ohio glacial landforms for use on his field trips.